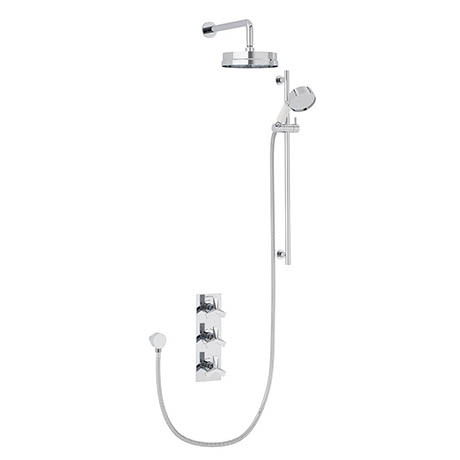 This classic Hemsby shower features a flexible shower kit, 6" fixed head and a dual control thermostatic shower valve. The sleek elegance and timeless style makes it ideal for both traditional and contemporary bathrooms. Available in chrome and quality assured by a 5 year guarantee. Flow rate open outlet: 7.7 l/m at 0.2 bar. 12.9 l/m from both stopcocks together. Flow rate is without hose/showerhead.